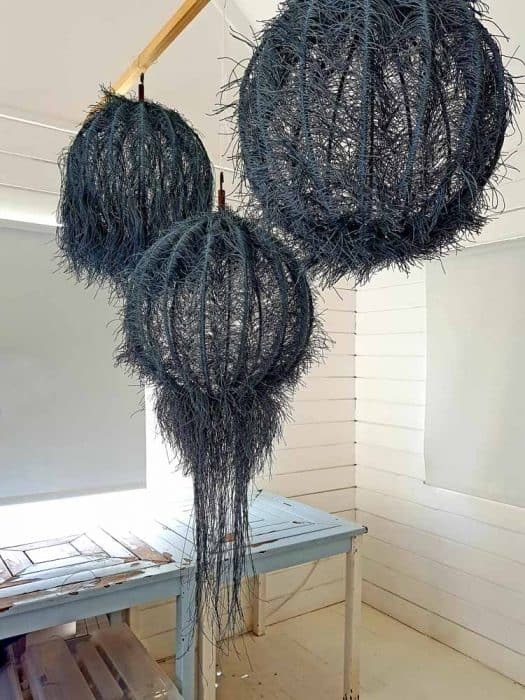 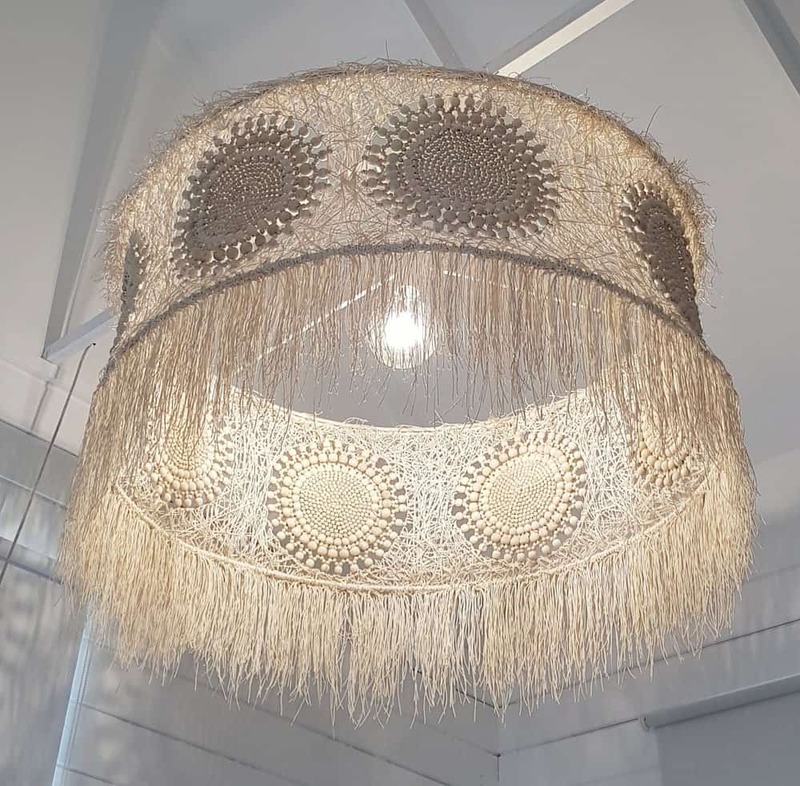 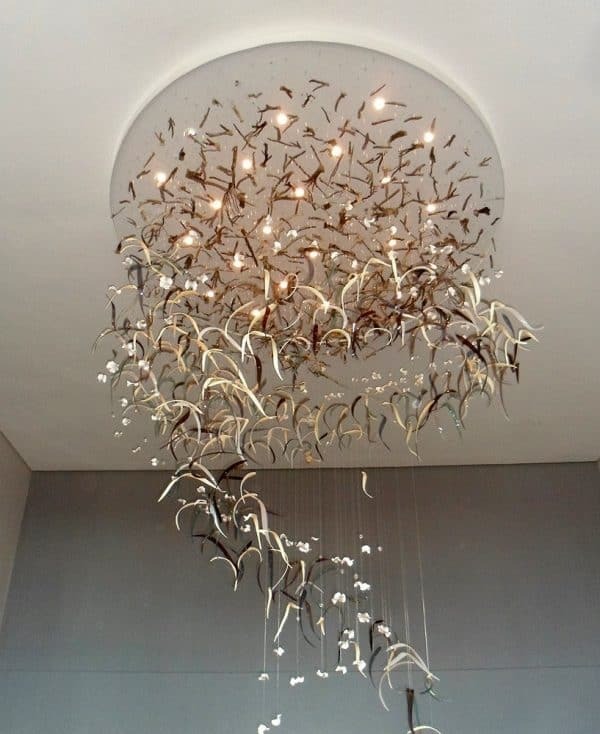 The artist responsible for creating this raffia lighting fixture, found his inspiration from nature. 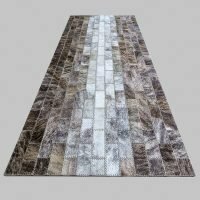 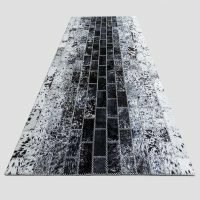 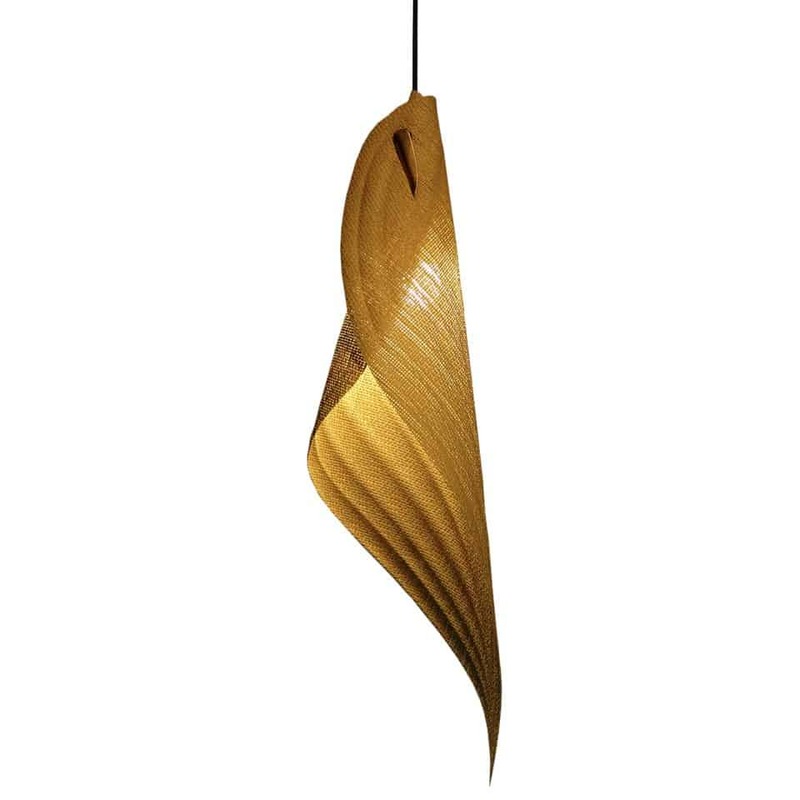 The sculpted contours visible in the raffia light, reflects the veins found in a bamboo leaf. 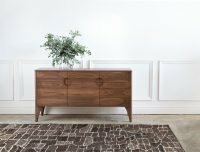 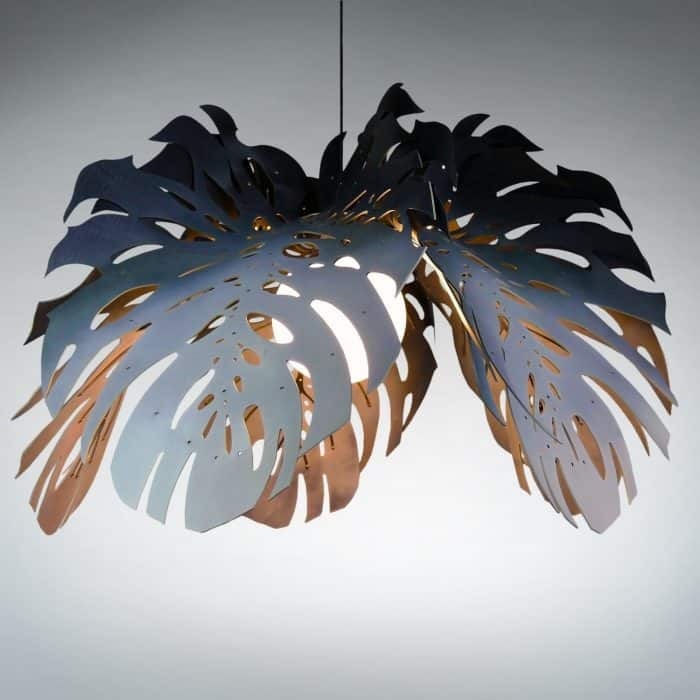 The brass closure in the centre or the raffia fixture also resembles a leaf.